There are several options for your event accommodations. 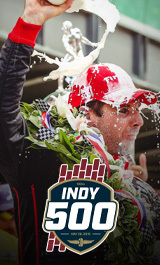 The Indianapolis Motor Speedway has several extended stay options on location. Please visit our Camping and Tent Camping pages for more information. To access hotel information for a specific Indianapolis Motor Speedway event, please select the event name in the list below.